"It’s exciting to come to work every day and see something you have never seen before in your life. In A Bug’s Life, the story required a more natural and organic world than we had ever created before. RenderMan made it possible for us to make that world absolutely believable. RenderMan 20 is a major release with a number of important advancements for RenderMan's RIS technology. Developed specifically for animation and VFX, the latest version is focused on accelerating pipelines and providing more creative control to artists. For physically based rendering in general, it can take a long time for a render to converge to a completely noise free image, but RenderMan's new denoising technology, originally developed at Disney, can dramatically reduce render times while delivering images of the highest quality. Now you can render faster with fewer samples, resulting in an initially noisier image which is then transparently filtered by the Denoiser, producing a high-quality final image. In fact the Denoiser is capable of reducing render times by an order of magnitude, and can handle shots with extreme motion blur and depth of field. Finally the "make pretty" button has arrived! The Visualizer is a new integrator for viewing a scene as RenderMan "sees" the geometry, showing wire-frames, surface parameterization, normals, etc ... useful for turntables and portfolios. Additionally, the highly efficient Visualizer provides extremely fast feedback for interactive production rendering, especially on large scenes that can otherwise be cumbersome to work with. Simply switch on the Visualizer, and quickly position the camera, dial in depth of field, and adjust motion blur. 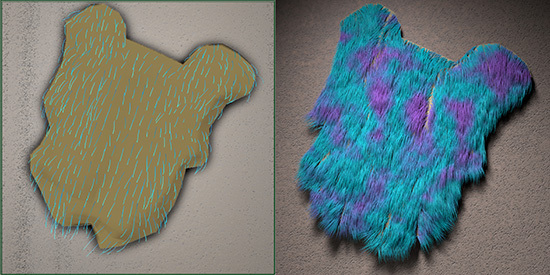 RenderMan now ships with a special RIS Bxdf for hair and fur developed at Pixar Animation Studios for feature film production. Because this shader was developed and tested for Pixar's own productions, the Marschner Hair is capable of producing movie quality results, quite literally. This advanced model for simulating hair provides four specular components, including an unique backscatter control for creating the most realistic results possible. In reality nothing is perfect, and the new Physical Camera in RenderMan fully embraces the imperfections of real-world cameras. Now you can fully simulate optical properties from tilt-shift focus, lens distortion, chromatic aberration, vignetting, and more. Compositing CGI elements over live action is crucial for VFX work and the new Holdout Workflow in RenderMan makes this process simple, making it straight forward to capture shadows, reflections, and other elements to combine them with a background plate during interactive rendering. 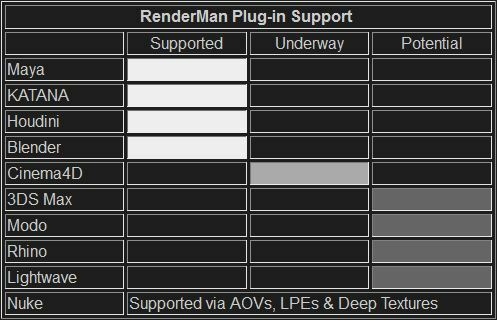 Version 20 brings numerous advances to RenderMan's lights. New streamlined light shaders are provided for the RIS mode, including a user-friendly Daylight Shader. Light localization is a new mode which can reduce noise for multiple direct lights, and finally customization of lights is now easier with a new API for light filter plug-ins. 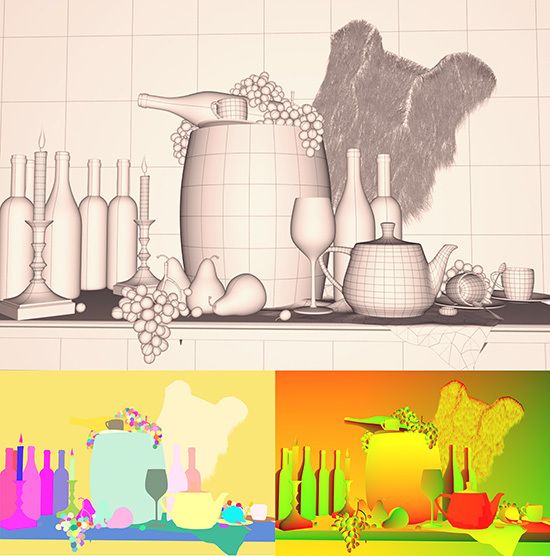 The performance of volumes has been enhanced in RenderMan RIS, including the ability to overlap volumes. Volumes of varying density, albedo, etc, may be nested to achieve physically accurate results. Additionally, RenderMan for Maya now supports Maya Fluids in RIS.